Netflix teamed up with experiential agency Collide to transform a basement bar into a 1930s speakeasy at SXSW to promote The Highwaymen, a new film about the two Texas Rangers who brought down Bonnie and Clyde. Open only at night, the speakeasy boasts attractions like burlesque dancers, an open bar of themed drinks, and live music from artists like Father John Misty and Lukas Nelson. As you walk down the steps into the basement, actors dressed like '30s journalists, sheriffs and gamblers greet you with questions and instructions. The task for the night: Find the "Lumberjack," a known criminal who would likely stick up the joint at any moment. While you're on the hunt, you can gamble, drink or get your mugshot taken, all for points. For each task you completed, you receive points that can be cashed in for real prizes at the General Store—items like Wrangler shirts, Highwaymen branded pins and flasks, and designer watches. Fans are encouraged to "Join the Hunt" and find The Highwaymen House with a microsite of clues, including exclusive rides in a '30s Highwaymen-branded car and sidewalks painted with the speakeasy's bunny logo. The Highwaymen House is open through Tuesday at SXSW. The Highwaymen premieres March 29 on Netflix. 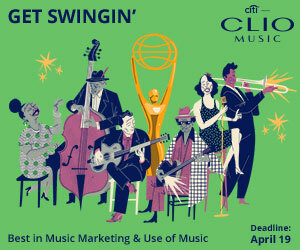 Janie Sircey is associate director of social media at the Clio Awards.